"My wife had this smoothie at a brunch spot in San Francisco and has been dreaming about it ever since. I dare say my own attempt turned out to be as good if not better. 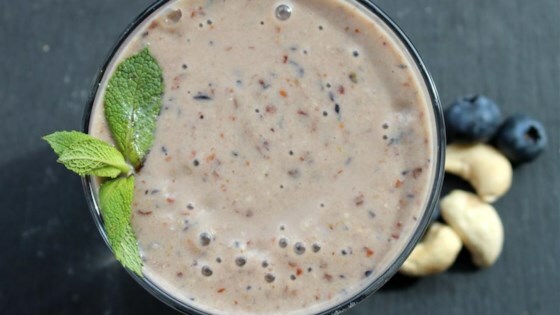 She calls it the Wake Up Without Coffee Smoothie! Yummy and healthy - try it out." Very good combination of flavors. I had to add a bit more almond milk because it was so thick, but other than that it's perfect as is. Thank you for the recipe. WOW WOW WOW - this is so ridiculously yummy !!!!! i didn't have the dates and even without them this came out heavenly. LOVE it - thank you for posting!